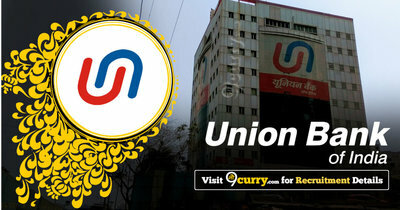 Union Bank of India Recruitment 2019 - Apply Online for 100 Armed Guard Posts in Union Bank of India in Andhra Pradesh, Assam, Bihar, Chandigarh, Delhi, Gujarat, Haryana, Jammu & Kashmir, Karnataka, Kerala, Madhya Pradesh, Odisha, Punjab, Tamil Nadu, Uttar Pradesh, Uttarakhand, West Bengal on Direct Recruitment. Online Applications are invited by Union Bank of India (UBI) from 23 Jan 2019 to 18 Feb 2019 for 100 vacancies. The selection will be on the basis of Online test and Physical Fitness Test. Eligible candidates may apply online at Union Bank of India's website (direct link is given below) from 23 Jan 2019 to 18 Feb 2019. Candidates log on to http://www.unitedbankofindia.com/.